I love scratch but i'm not much of a coder. i love all things about scratch. 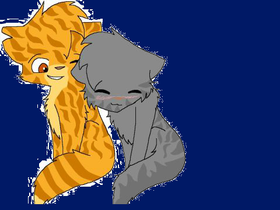 XD wow that was a bad description i am a Scratch loving girl who adores Warriors i made my own studio! im continuing here! well thanks for stopping but how did you decide to come here? COMMENT! Try Hurtful Words by RacingHans in my favorites. P.S. if you ever need a voice actor i'm there! BLAST OFF! To the past!